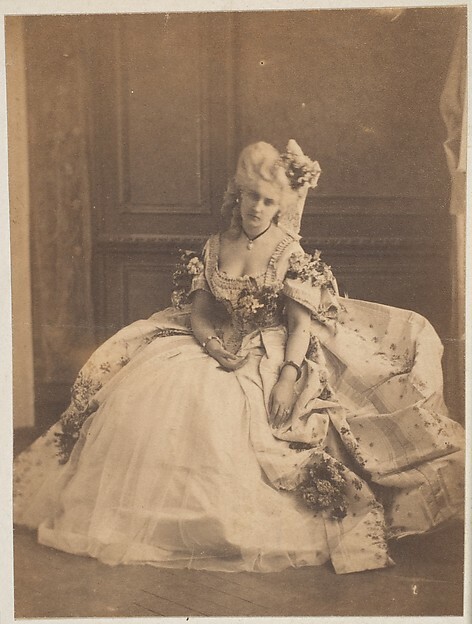 Virginia Oldoini, Countess of Castiglione (1837 – 1899), better known as La Castiglione, was an Italian aristocrat who was a special agent for the cause of Italian unification, the mistress of Napoleon III, and a mysterious recluse notorious for her numerous love affairs. She was born to a noble Florentine family and at 17 she married the Count di Castiglione. It was a bad match; she cheated on him shamelessly and eventually left him bankrupt. In 1857 they separated. She left Paris in 1858, due to the scandal surrounding her liaison with Napoléon III. Before that, while still living in Paris, the Countess had created a sensation. The beautiful statuesque countess was both decadent and extravagant. Lavish balls where prevalent during the period and she became known for her flamboyant entrances in elaborate dress at the imperial court. One of her most infamous outfits was a “Queen of Hearts” costume. She was even considered the most beautiful woman of her time and was described as having long, wavy blonde hair, pale skin, a delicate oval face, and eyes that constantly changed colour from green to an extraordinary blue-violet. 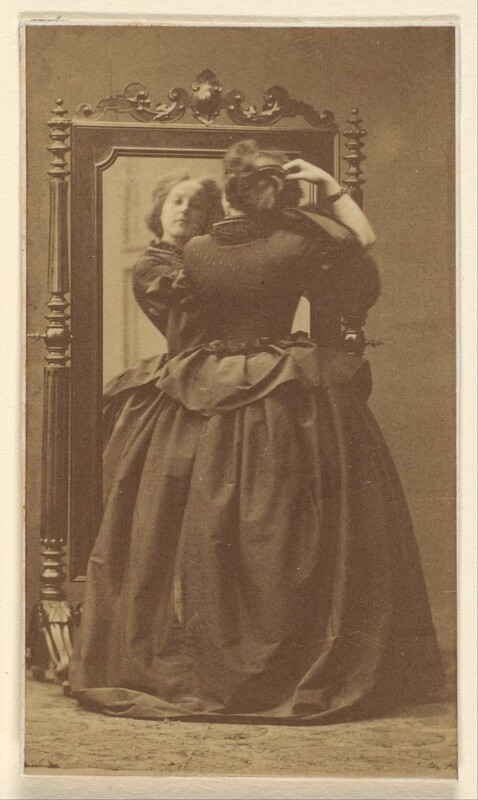 Her vanity was as famous as her beauty and she would send albums of her portraits to friends and admirers. In 1865 she arrived in Paris again, to plead for Italian unity on behalf of her cousin, then a minister to the king of Sardinia. After the fall of the Second Empire in 1870, Oldoini led an increasingly secluded existence, which gave rise to fantastic speculation as to her affairs. Her declining years were spent in an apartment in the Place Vendôme, where she had the rooms decorated in funereal black, the blinds kept drawn, and mirrors banished—apparently so she would not have to confront her advancing age and loss of beauty. She would only leave the apartment at night. 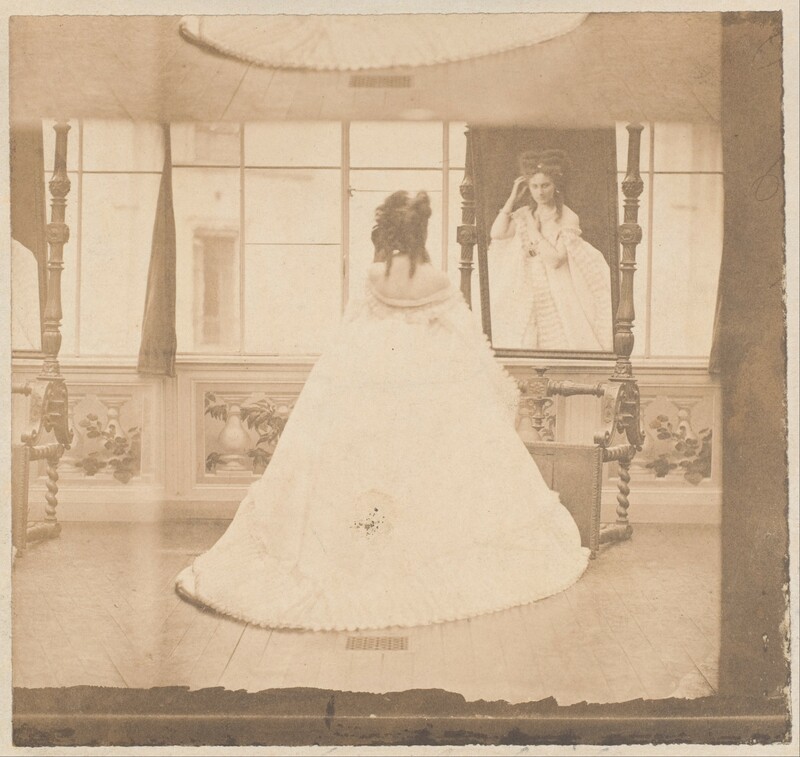 The Countess´s raging narcissism found in photography the perfect ally, and she was a significant figure in the early history of photography. 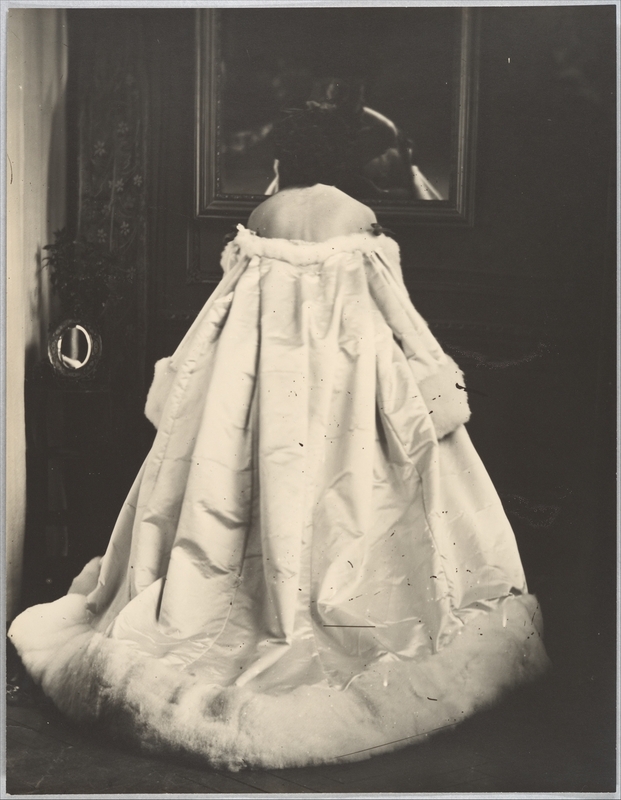 In 1856 she began sitting for the firm Mayer and Pierson, photographers favored by the imperial court. Over the next four decades she directed Pierre-Louis Pierson to help her create 700 different photographs in which she re-created the signature moments of her life for the camera. She spent a large part of her personal fortune and even went into debt to execute the project. 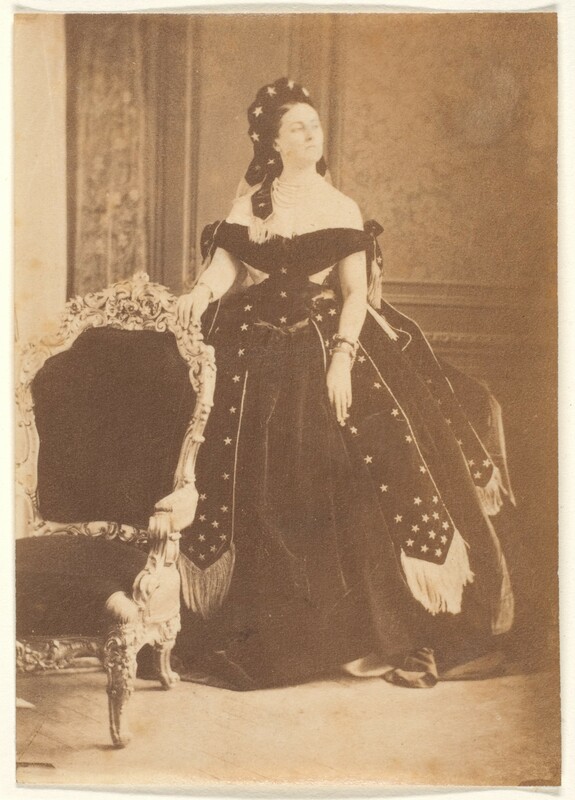 Most of the photographs depict the Countess in her theatrical outfits, such as the Queen of Hearts dress. Many of the portraits record the countess’s triumphant moments in Parisian society, wearing the extravagant gowns and costumes in which she appeared at soirées and masked balls, in others she assumes roles drawn from the theater, opera, literature, and her own imagination. A number of photographs depict her in poses risqué for the era—notably, images that expose her bare legs and feet. In these photos, her head is cropped out. Robert de Montesquiou, a Symbolist poet, dandy, and avid art collector, was fascinated by the Countess. He spent thirteen years writing a biography, La Divine Comtesse, which appeared in 1913. After her death, he collected 433 of her photographs, all of which entered the collection of the Metropolitan Museum of Art. 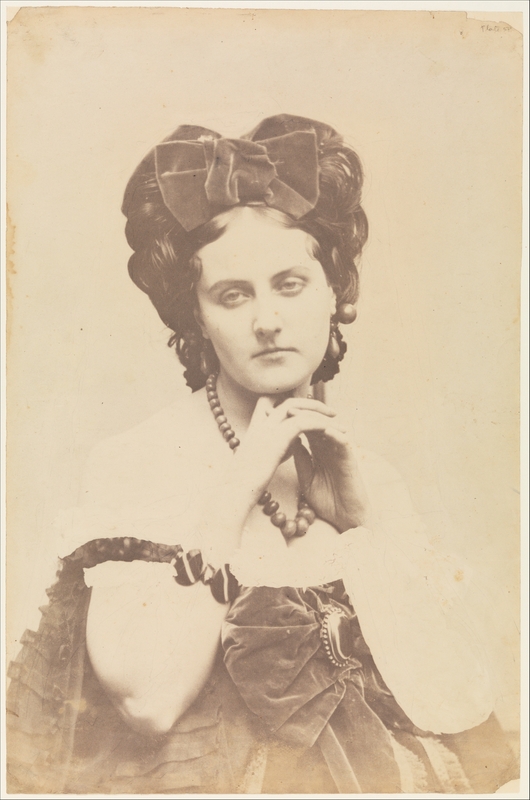 Pierre Louis Pierson´s most interesting professional project is the close collaboration he led with Virginia Oldoini, the Countess of Castiglione. 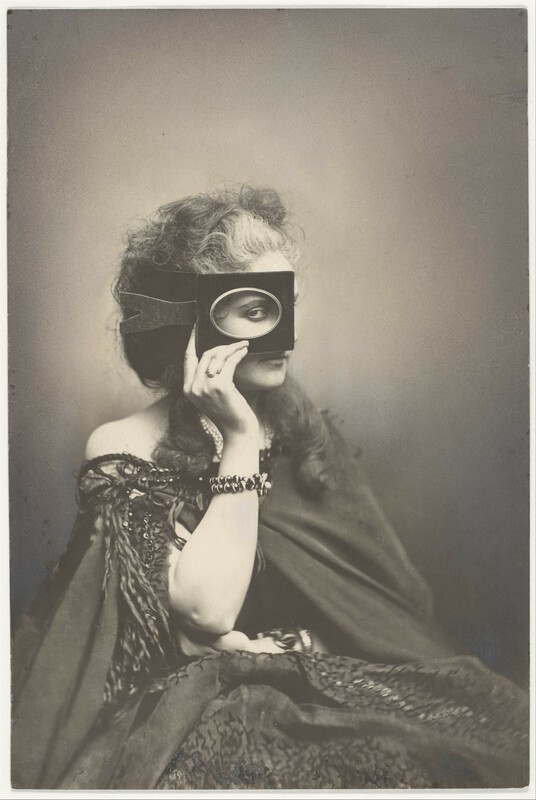 She directed Pierre-Louis Pierson to help her create 700 different photographs in which she re-created the signature moments of her life for the camera. Both enjoyed creating playful identities within which the countess could be a Madonna, a sensual vamp revealing her legs and feet or a fantasy creature clad in eccentric costumes (source).